Back in December, we did a small pre-announcement of our new franchised Hotel product from CBIC, an RLI Company. Now this product is fully available for quoting on Big "I" Markets! In 2016 the U.S. hotel industry generated nearly $200 billion in revenue. It is estimated that 1,303 new hotels will be built in the U.S. this year, over 200 more than 2017 and triple the number in 2012. Contractors Bonding and Insurance Company, an RLI Company, provides Package policies for franchised hotel owners. Wind coverage may not be available in all coastal areas. This product is available under Small Commercial in all states however, coverage options may be different in the following states: AZ, CA, ID, MT, ND, NV, NM, OR, WA, WY. For more information, log into www.bigimarkets.com and click on Small Commercial or contact Big "I" Markets commercial underwriter Tom Spires at at tom.spires@iiaba.net or (800) 221-7917 ext. 5470. Cohabitating couples are commonplace today: two-thirds of couples cohabitate for an average of 31 months before marriage.1 But these unmarried partners may be surprised to find their significant others shortchanged under traditional homeowners insurance, which typically extends coverage only to relatives residing at the insured home or condo. An endorsement to LexElite.® Homeowners Insurance, Significant Other Coverage, cost-effectively closes this coverage gap, extending critical protection to the romantic partner of the named insured. Significant Other Coverage is the newest in a series of enhancements to the LexElite Homeowners policy. Other available endorsements include: LexShare® HOME Rental Coverage, Mandatory Evacuation Response Coverage, Lex CyberSafety® Coverage, Pet Critical Injury Coverage, Upgrade to Green® Residential, and LexElite Eco-Homeowner®. Insurance. All coverages come with industry-leading LexElite claims services. The Non-standard HO markets available are Homeowners & Rental Dwelling, Condominium, Renters, and Vacant Dwelling. 1. According to Clockwork Marketing, what is the most common complaint about a hotel room? 2. This horror film director was born on this date in 1948. 3. 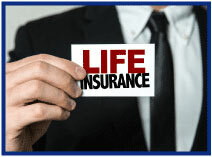 What is the #1 reason people give for not getting Life Insurance? TB - A group has filed a suit to recognize the "personhood" of Connecticut residents Minnie, Beulah, and Karen. Who are Minnie, Beulah, and Karen? Congratulations to our agent in New Jersey on a Small Commercial sale of $14,136 in premium!